Most quilts are machine washable, though it is recommended to wash all quilts in a front loading machine, e.g. one without a central agitator, on a gentle cycle in cold water with gentle detergent. Most resources recommend letting your quilts dry flat, but it’s too humid where I live to do that! I generally tumble dry on low till almost dry, and then hang dry the rest of the way. Quilts can be ironed if wrinkles form, though high iron heat can sometimes cause discoloration. Especially if it is machine quilted, the stitches should stand up to some abuse. I do use some vintage fabrics in my sewing, and I recommend washing them with on a gentle cycle for sure. On the off-chance that the colors bleed, vinegar can be used to keep the colors from running during the first few washes. If you stain your quilt, take some woolite, or, if it’s real bad, some stain remover, and a toothbrush and work it out and rinse well. Hydrogen peroxide can get scorch marks out! If there are threads hanging here and there, they can be snipped off. 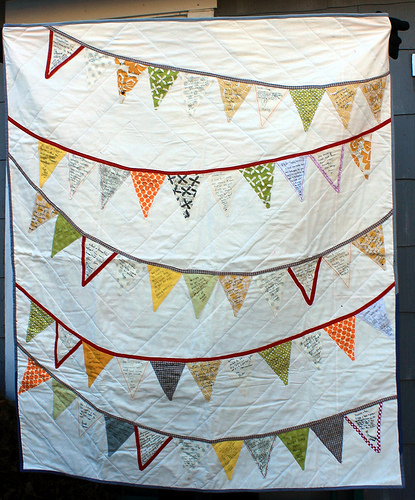 All quilting lines should be sufficiently ‘tied off’ and the hanging threads shouldn’t be connected to anything important. 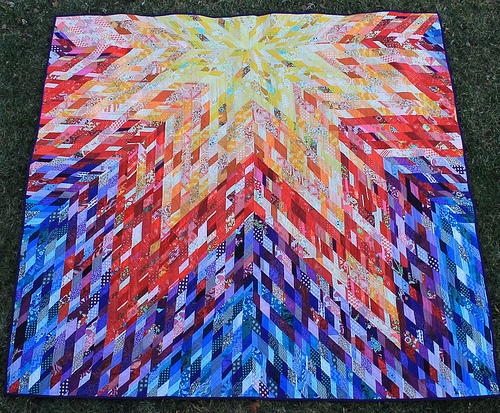 Strong sunlight will fade your quilt over time; it also weakens the fabric. 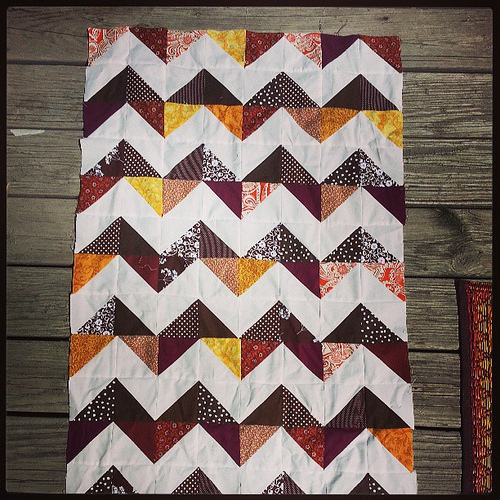 If quilts are stored folded for a long period of time, the creases can become permanent. If you would like to hang your quilt for display, the recommended method is to hand-sew a hanging sleeve or fabric loops on the backing of your quilt, then run a dowel rod through the loops or sleeve to hang. 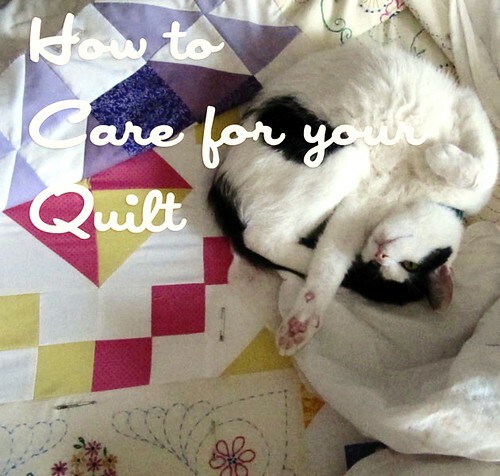 It is important to evenly distribute the weight of the quilt to reduce wear and tear. 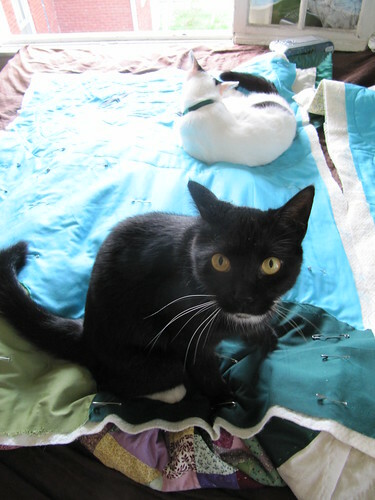 Other methods I have seen include attaching Velcro to the back of the quilt and to the wall/hanging bar (the soft side goes on the quilt), and I myself will often just push decorative pins through the quilt and into the wall, or pin safety pins to the backing and then hang the quilt from the safety pins. The stress of the quilt hanging on the pins can cause damage to the fabric over time, and the heavier the quilt is, the more care you should take when hanging it. 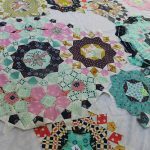 There are endless resources on the internet to aid you in caring for your quilt, some of which will lead you to believe that even looking the wrong way at your quilt will cause it to instantly disintegrate. 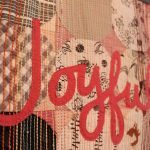 I personally feel that quilts are for enjoying, but have sadly learned from experience that it’s important to follow a few easy tips to help your new quilt weather all the excitement that life brings us. I made this to tuck in with quilts I sell and based it off a few emails to friends. Questions? Ask away. I have the quilt my mom made when I was itty-bitty, here in London. Over time the fabric worn thin and there are holes and tears. Do I patch it? Do I dare? 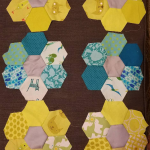 Oh, and another thing – a hanging sleeve should be about four inches wide, and you sew it on through all the layers of your quilt – not just the backing.